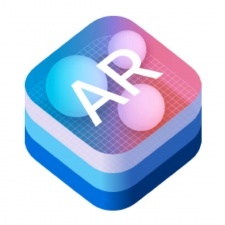 Apple has added new AR Games and AR Apps categories to its App Store to help users better identify these kinds of apps. The two categories keep games and apps entirely separate from one another, and are found in their corresponding tabs in the new App Store. The categories don't appear to have their own rankings. One thing that appears to be missing is an indication that an app is AR-enabled on its store page, beyond digging through its description or updates. There is also no warning that ARKit is incompatible with certain devices, unless the developer states this in their description. ARKit compatibility launched with iOS 11 on September 19th. The new App Store also includes more editorial content, and removes the top grossing charts from view on the store. Developers are already rushing to jump on the ARKit hype in the early days of its release. Climax Studios launched platformer ARise, while Game Insight has launched a city-builder and is preparing an AR spectator mode for Guns of Boom.